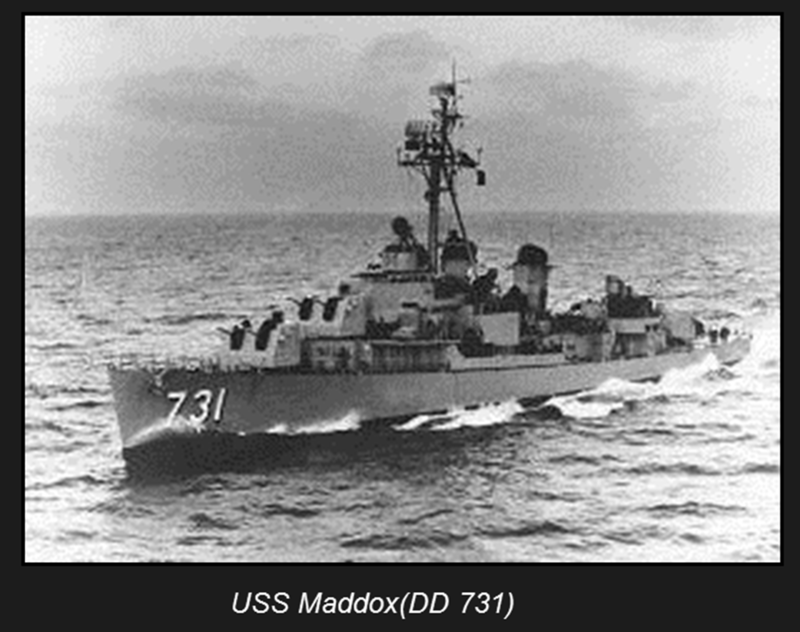 USS MADDOX (DD 731) was conducting collect intelligence mission in support of the embarked commander and higher level authorities and to assert freedom of navigation in the Gulf of Tonkin. These patrols where known as DESOTO patrols. While on a DESOTO patrol, the MADDOX came under attack by three Democratic Republic of Vietnam (DRV) patrol boats. This attack resulted in two A-4 Skyhawk fighter aircraft from the USS TICONDEROGA (CVA 14) attacking the three DRV boats damaging all three leaving one dead in the water. SIGINT reporting at Phu Bai Vietnam, San Miguel, Philippines and the Naval Security Group detachment aboard the MADDOX provided accurate I&W and the Marine SIGINT unit at Phu Bai, Vietnam issued a CRITIC which alerted all relevant command, including the MADDOX. 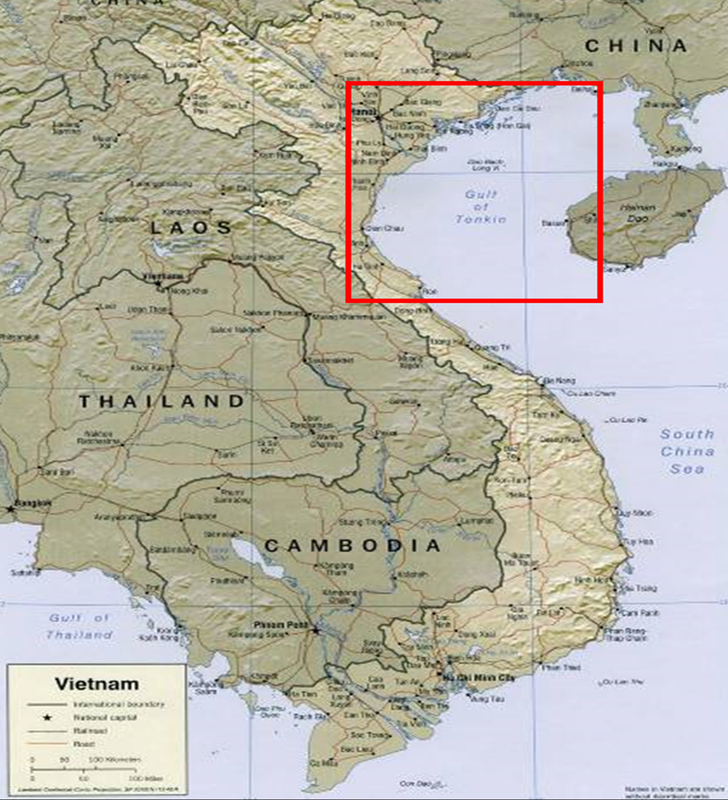 The Phu Bai unit misinterpreted search and salvage operation by the DRV as a potentially dangerous concentration of enemy boats and issued a second CRITIC. This report set the U.S. Navy on high alert. 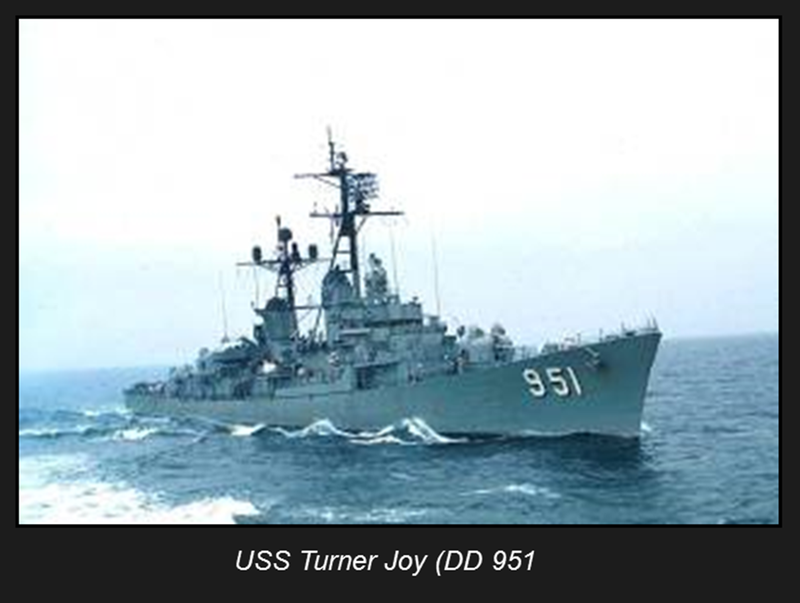 By mid-morning the MADDOX and USS TURNER JOY (DD 951) was heading towards their patrol station, which near Hon Me Island. Almost as soon as the two destroyers arrived on station in early afternoon, they were shadowed by a DRV patrol boat. While on station the MADDOX received a CRITIC from Phu Bai, which stated, POSS DRV NAVAL OPERATIONS PLANNED AGAINST THE DESOTO PATROL TONIGT 04 AUG. AMPLIFYING DATA FOL.” Twenty-five minutes later, Phu Bai issued a follow-up report at which reported, ‘IMMINENT PLANS OF DRV NAVAL ACTION POSSIBLY AGAINST DESOTO MISSION.” Shortly after this report the MADDOX reported that it had detected two surface contacts and three air contacts on its radar. However, at the time the ship’s radar was malfunctioning and had a difficult time holding RADAR contact. As they continued operations these radars started generate several false contacts and then the contact would drop out. It was during this time of confusion the two destroys gyrated wildly in the dark waters and the Turner Joy fired over 300 rounds from their 5 inch Mk 42 guns. Fifty seven days before the MADDOX engaged the DRV patrol boats on June 7 1964, Navy LT Charles Klusmann, lunched from the USS KITTY HAWK (CVA 63) in an RF-8 Crusader jet on a reconnaissance mission over Laos. Air Force and Navy photoreconnaissance jets were authorized in May 1964 to begin gathering intelligence information supporting T-28 bombing raids against North Vietnamese and Pathet Lao troops in Laos. Navy participation began on May 21 with a flight of two RF8A Crusader photoreconnaissance planes from the decks of the KITTY HAWK. 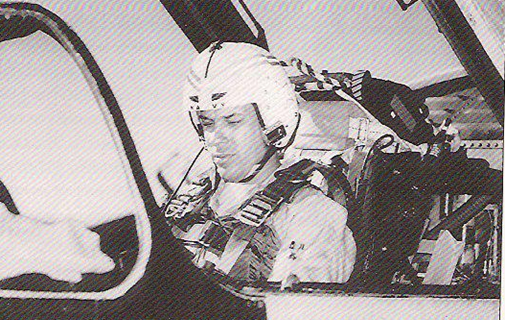 During one of these early Navy missions, LT Charles F. Klusmann, from VFP 63 onboard the KITTY HAWK flew over Laos and was hit by ground fire. Although the aircraft burned for twenty minutes en route back to the carrier, Klusmann was able to bring his Crusader back safely. The United States charged the Pathet Lao with “an outright attempt to destroy by violence what the whole structure of the Geneva Accords was intended to preserve (neutrality of Laos)”. There was ample evidence to support this claim. Navy and Air Force reconnaissance planes had come back with photos showing the Plain of Jars bristling with newly installed anti-aircraft guns–sixteen sites in all, housing guns capable of firing 150 rounds a minutes, effective to a ceiling of 15,000 feet. Ambassador Leonard Unger obtained approval from the Johnson Administration to release the fuses on previously delivered U.S. bombs, for use by the Royal Lao Air Force. Prince Souvanna Phouma also authorized the use of U.S. fighters to accompany the unarmed reconnaissance jets over Laotian territory, and these missions became code-named Yankee Team. Once again, LT Klusmann launched in his RF8A as a Navy Yankee Team aircraft on June 7. Again his aircraft was hit by ground fire. This time, the damage was so severe that Klusmann had to eject near communist troops. The Pathet Lao forces immediately set out to capture him, firing on an Air America rescue chopper sent to pick him up. The helicopter was finally forced to abandon Klusmann who, to make matters worse, had twisted his ankle during his parachute landing. Another Air America helicopter was hit when it attempted to make a recovery three hours after the plane went down. The Pathet Lao had set up a flak trap (where the downed pilot was kept alive and allowed to call for help while enemy gunners lay in wait for the arrival of vulnerable helicopters). The two Air America helicopters abandoned their rescue effort when two crew members were critically wounded in the heavy fire. LT Klusmann, was captured by the Pathet Lao. 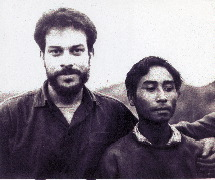 Happily, Charles F. Klusmann was able to escape captivity with several Lao prisoners in late August, 1964. After two days of hiding in the jungle from his captors, he was able to reach a government camp and was eventually rescued. He is one of only a handful who ever escaped captivity in Southeast Asia. 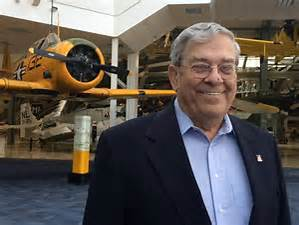 Charles Klusmann retired from the United States Navy as a Captain. He and his wife Ellen reside in Pensacola, Florida. Note: The Gulf of Tonkin Resolution was approved on August 7, 1964 that gave broad congressional approval for expansion of the Vietnam War.